Booking a Camino de Santiago trip with CaminoWays.com is simple and easy. You can create your perfect Camino trip using our tailor-made booking system. Do you need some help booking? No problem, our travel specialists are always delighted to help over the phone or via email. 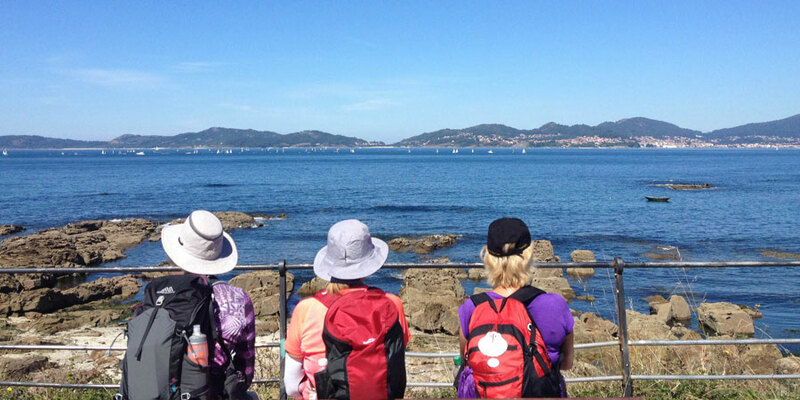 Have a look at the different Camino routes that we offer and follow the simple instructions to create your itinerary where you can pick the number and type of room you need and services you require. Remember you can make changes to all of our packages to best suit YOUR needs. We offer tours on all sections of each Camino route. Dates for our self-guided tours are completely flexible while Camino guided tours depart on specific dates. The itinerary will give you a detailed account of the route, days and cost. You can discuss with the team if you require assistance or any advice or additional information related to the itinerary. Once you receive your itinerary proposal and you are happy with the details, it is time to book your flights. If you need help finding the closest airport to your starting point, each tour includes an ‘access’ tab with useful transport information (including closest airport for the tour). Once you have your flights booked, it is time to contact the CaminoWays.com team to confirm your itinerary, dates and finalise your booking. This is the time to discuss any changes to your itinerary, as changes requested once reservations are in progress, might result in change fees (see step 5). Once your booking is confirmed, the reservation process starts. 4. What are ‘change fees’? A ‘change fee’ applies to changes made to bookings/reservations made with CaminoWays.com; the fee will depend on the length of your trip. 5. What is considered a ‘change’? There is no change fee for the following: booking additional nights at the beginning or end or your journey (add-on), hotel upgrades or booking additional services such as meals, transfers, day tours or extra bags (please note bags are charged per item). 6. When can I make a change?